Today is the first day of our trip to France. 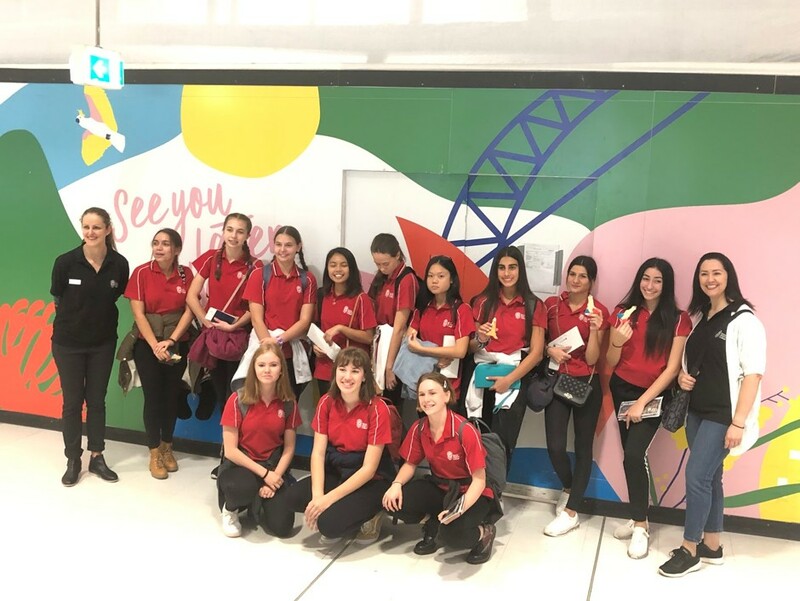 Our group of 12 girls gathered together at Sydney airport at midday on 10 April. Our first flight was set to arrive at Singapore airport at around midnight. We were all very excited to be embarking on this unforgettable journey together. The first flight was the shorter one of the two we had to take to arrive in Paris. Once we arrived in Singapore airport we split off into little groups and made the most of our stop over time. This airport was unlike anywhere else we had been before. We found a butterfly garden, a free cinema room and spa rooms. We were all very excited but unfortunately we had to get onto our next flight. This was the longest flight, at around 13 hours. We spent most of it sleeping as we were set to arrive in Paris in the early morning. Once we arrived in Paris airport we went to baggage claim to pick up our luggage. And funny to say that my luggage was not amongst all other luggage! Zut alors! We looked around and lucky enough we saw a woman standing with the same colour bag as me but with a Santa Sabina ribbon. We ran to her and made her aware that she grabbed the wrong bag while hers was still going around on the carousel! C’est drôle! Afterwards, we got onto our bus and were headed for Fiap. There we put our luggage away on headed our first adventure in Paris. We found a boulangerie and ordered baguettes and drinks in French. This was very exciting but nerve racking as it was our first time ordering in French. Afterwards, we made our way to a patisserie for dessert. I got a natural meringue which was the size of a small loaf of bread. Later on we checked into Fiap and were given our assigned rooms. After dinner, our French teachers, Madame Chamat and Madame Iskander, surprised us with an evening trip to the Eiffel Tower via the Metro to see it lit up, this was very exciting and our personal highlight of the trip so far. We took many photos and shared an amazing experience together which brought us closer to each other. That night we all had a good night’s sleep after a very long voyage! Quelle journée incroyable! Au revoir from Hannah and Naomi. This morning we all woke up bright and early after the jetlag of the night before. Today we had our first French breakfast, and, as expected, the food was delicieux! After breakfast we began our first French class. It was very interesting and challenging and we all learnt a lot. SUPER! Our French teacher from FIAP was very informative and we talked about our likes and dislikes as well as a bit about ourselves, to help us to remember more French. The three-hour French class seemed like no time at all. 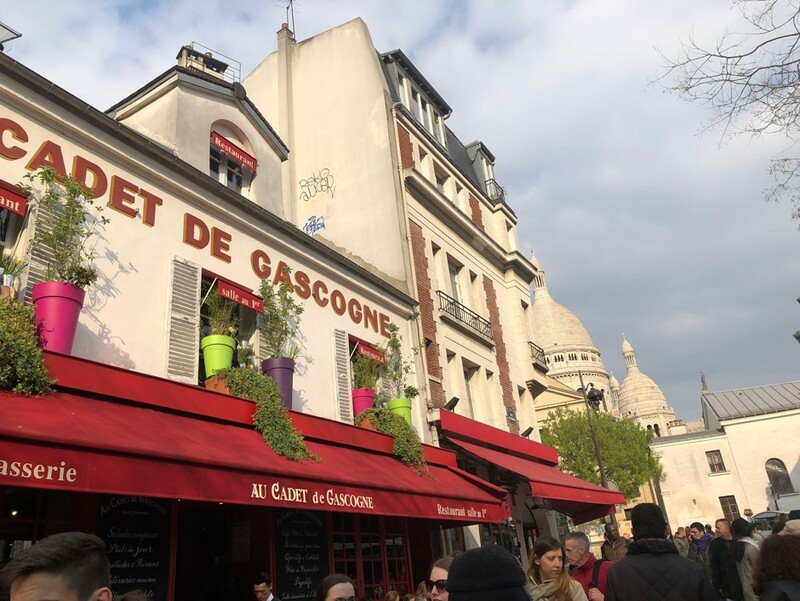 After that, we were able to enjoy an hour to ourselves immersing in the French culture by interacting with the locals buying our lunch and perfecting our French conversation skills. It was quite a thrilling experience to order our lunch using what we have been taught in French to eat an authentic baguette filled with delicious fresh ingredients! Très délicieux! 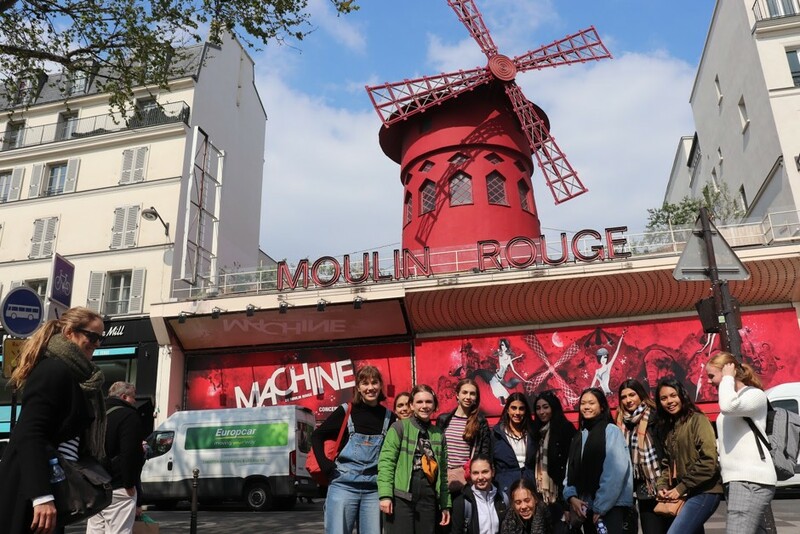 After lunch time, we all caught the train to Pigalle station, near Montmartre, and walked all the way up the hill after looking at the famous theatre of France – comme le Moulin Rouge! Après ça, we walked to Sacré Coeur at the top of Montmartre. 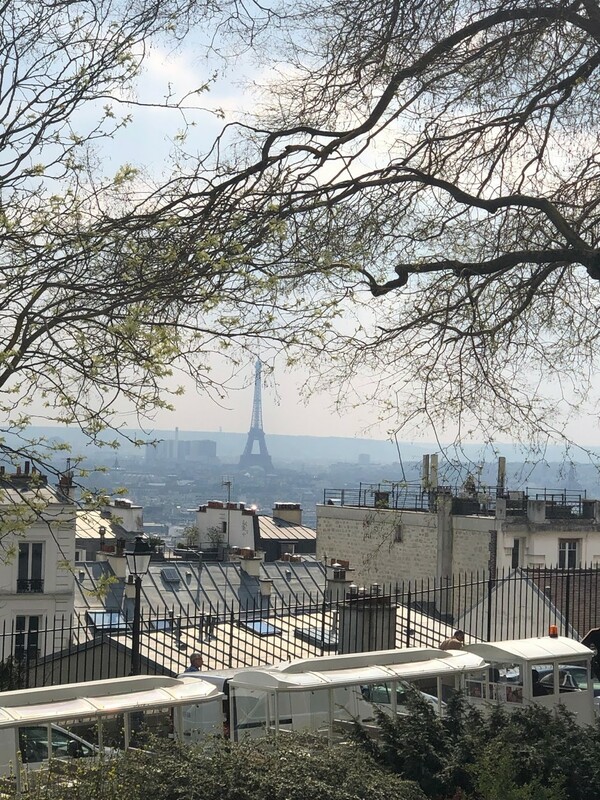 It was breathtaking to see an amazing pittoresque view of Paris – c’était génial! 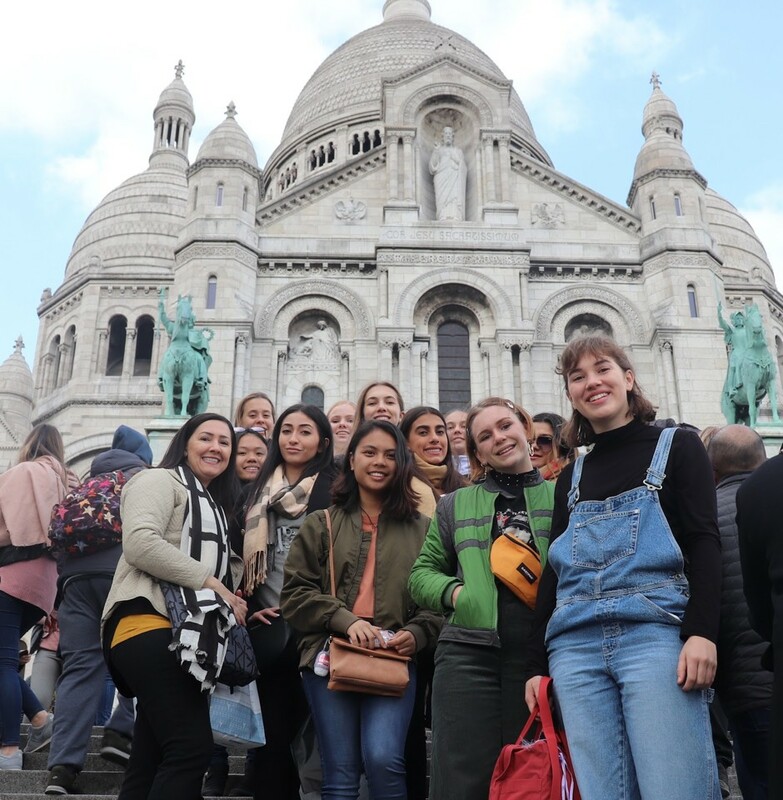 We walked around Sacré-Coeur and went inside the Basilica, it was extremely beautiful and very fortunate to witness a French pre-Palm Sunday Mass! The prayers in French sounded angelic and uplifting. The faithfuls were all joining in prayer and lighting candles of intentions to say a prayer for a loved one. The architecture was very old and traditional and it was interesting to see how big and beautiful the art on the roof was. Unfortunately, we were not allowed to take photos inside the Basilica but we all walked out with a photo image imprinted in our mind. After we had explored Sacré Coeur, we were given free time to walk the cobbled streets, to witness the artists in action (reminding us that this was once the place of very famous artists such as Picasso and Van Gogh) and watch people sitting at the bistros around, eating and drinking du vin et un chocolat chaud. 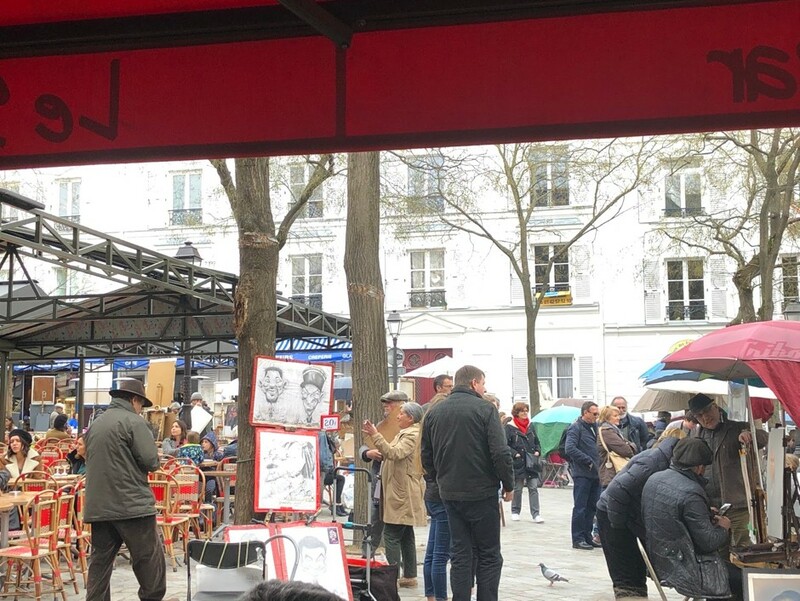 It was amazing to explore Montmartre, an authentic village in the heart of Paris, and its amazing artists at Place de tertre. C’était typiquement français! Today was a very big day full of adventures but it was incredible to see Paris from this charming village perched on the top of small unique hill and see the most compelling monuments and churches in the world! Today we started off with another French class where we learned about the geography of Paris and local monuments. We also looked at Easter in France and where to buy the best chocolate. We discussed our trip to Montmartre and what restaurants to visit to experience true French cuisine. After that, we headed out for lunch at rue Daguerre, before taking ‘le metro’ to Le Musée du Louvre. There we met our tour guide who taught us about the history and importance of the building and its many artworks. A highlight for us was seeing the Mona Lisa (or La Joconde in French), as well as the famous painting La Liberté guidant le peuple (Liberty leading the people). We also got to see the foundations of the original fort that existed before the Louvre we know today. Next, we took the metro to Chaussé d’Antin La Fayette for some shopping – from bags and makeup to ice-cream and roasted chestnuts, the Galeries Lafayette had it all. After our retail therapy we took the metro back to FIAP, just in time for dinner. We were very happy to sit down finally, as our feet hurt from walking over 15,000 steps and 21 flights of stairs. Once we had finished our meal we went back to our rooms to rest for another busy day tomorrow. 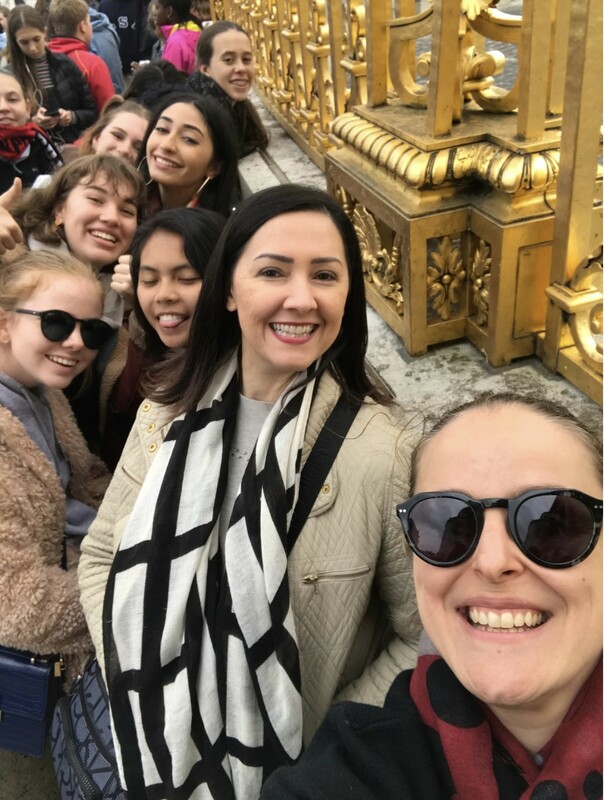 On this day we were very excited to attend Notre Dame, a majestic cathedral to celebrate an important day in the Christian calendar, Palm Sunday (Le dimanche des rameaux). As usual we caught the ‘Metro’ to make our way to the mass. As we approached the cathedral, we were surprised by the amount of faithfuls waiting in line to go inside to take part in this celebration. As we approached, the gigantic gates of the cathedral, we received small green branches as a symbol of the palms that welcomed Jesus into Jerusalem. Upon entry, we were taken by the beautiful prayers in French and the angelic voices of the choirs and not to mention the beautiful sounds of the organ. After mass we took a tour around to observe the grand architecture of the building, consisting of colourful stained glass windows and complex stone sculptures. After, we were booked in for lunch at a local restaurant just opposite the cathedral. Quelle belle vue! ( What a beautiful vue!). Then, soon after, we caught the metro in direction of the Eiffel Tower for a River Seine cruise which was very beautiful but also very cold and windy! The cruise took us around important sightseeing places in Paris. 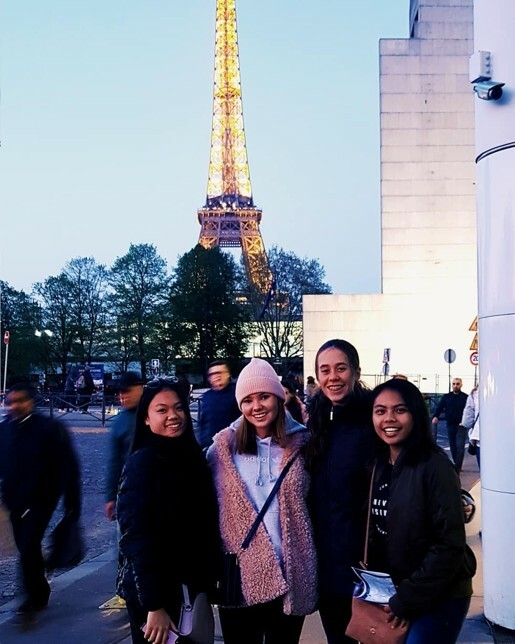 It was a valuable unforgettable experience After the cruise, we were all so hungry for a snack so we decided to treat ourselves to a traditional French dessert “ crepe au chocolat” from a nearby creperie right at the feet of the Eiffel Tour! They were delicious and warm – perfect for the cold weather. Au Revoir! 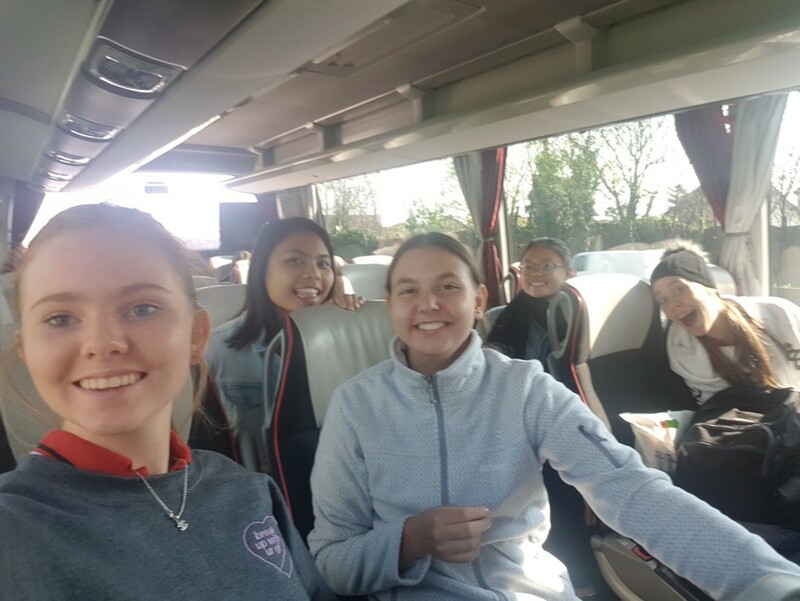 April 15 2019 started off like any other day for the girls undertaking Santa Sabina’s Tour of France. To start the morning, we participated in our final three hour French class, where we learnt about National French symbols and songs. At the end of this session, we were all presented with a certificate, a reminder of how far we had progressed in just 9 hours of lessons. 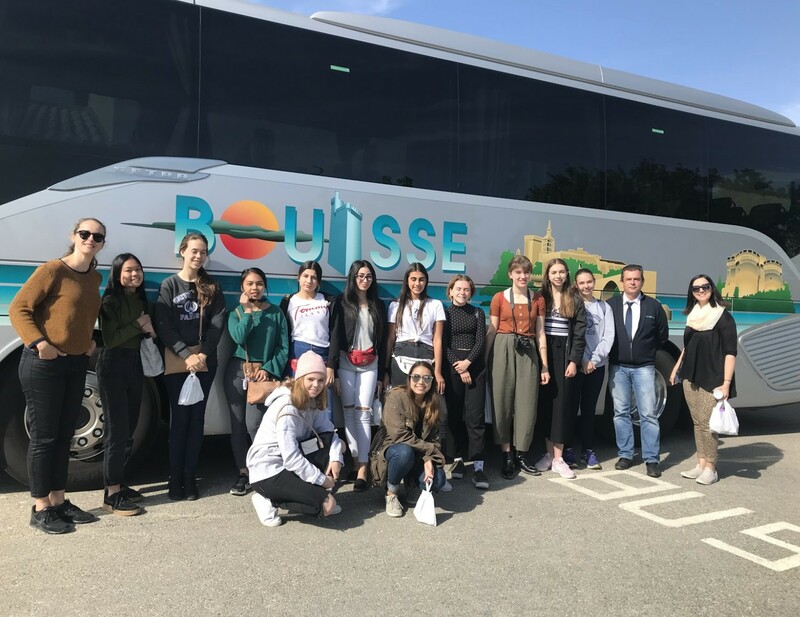 We all felt that they had given us a valuable insight into not only the French language, but also the Parisienne and French culture that we were about to experience outside the classroom. After this, our group headed off to the ‘La Tour Eiffel’ on a mission to make it all the way to the top. After waiting somewhat patiently in the long lines full of excited tourists, we finally made it to the top. Despite the chill, the view was incredible and certainly well worth the wait. After our quick descent from the tower, we set off in search of a second hand shop near the Notre Dame to experience la fripperie. Our shopping was interrupted by the sudden masses of smoke emerging from above the buildings as we realised the Notre Dame was on fire. We were all perfectly safe, but looking out to see one of Paris’ most significant and historical monuments up in flames was harrowing to say the least. Luckily, minimal damage occurred and the building will be able to be restored, as was promised by President Macron in his address soon after the fire as we read in the paper. Although we were all struck with the sadness of the event, we were also grateful to have experienced the Notre Dame before history changed it forever. The day was not ruined by the event and we spent the rest of the night enjoying a lovely dinner near the Centre Pompidou museum at the rue Rambuteau, a famous street for its eaterie from restaurants, ‘crêperies’ and ‘glaceries’ accompanied by very Parisien live music and then had a peaceful walk home. Suffice to say, we slept well after the day’s events! 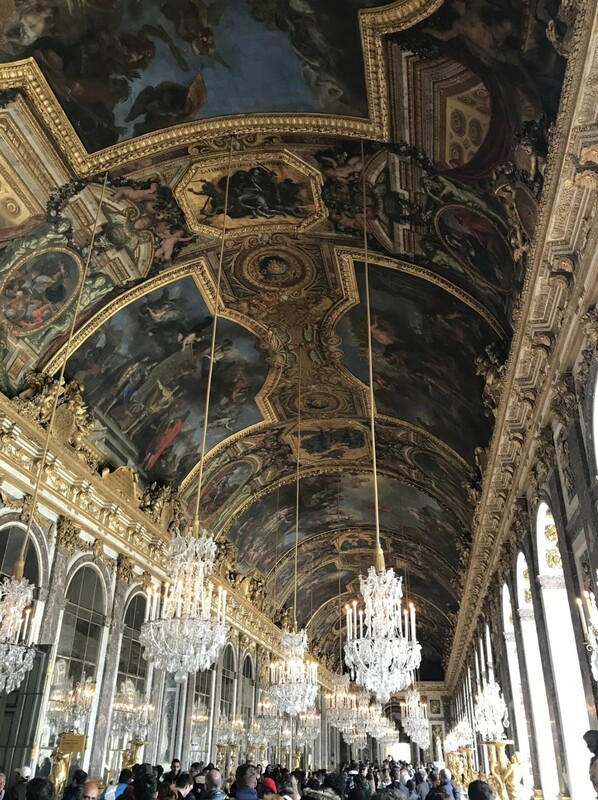 Today was our first day excursion outside of the Parisian inner city; Le Château de Versailles! 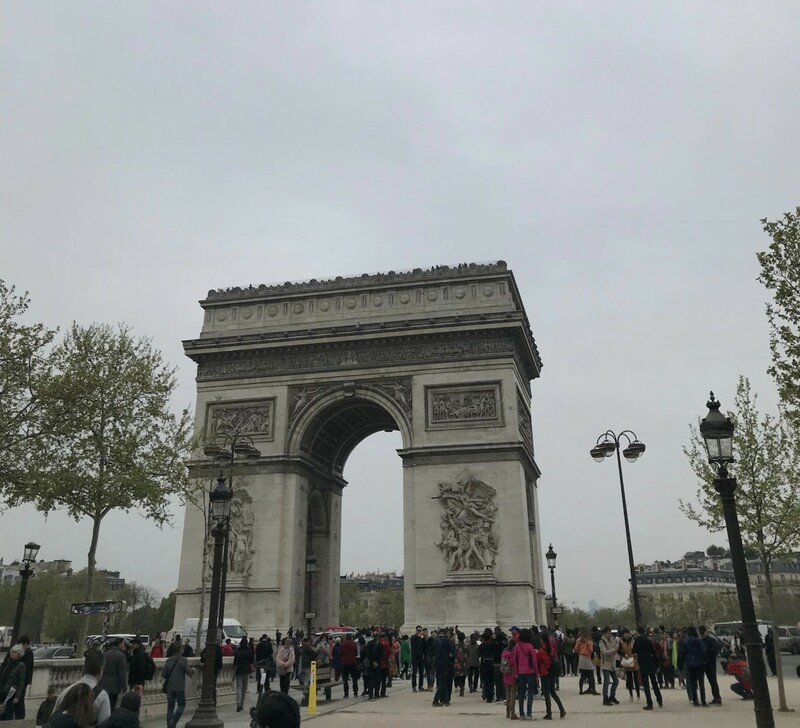 Save for a few extra sleepy students, we set out for a quick visit to the heavily anticipated Arc De Triomphe, which surprised us all with its grandeur. 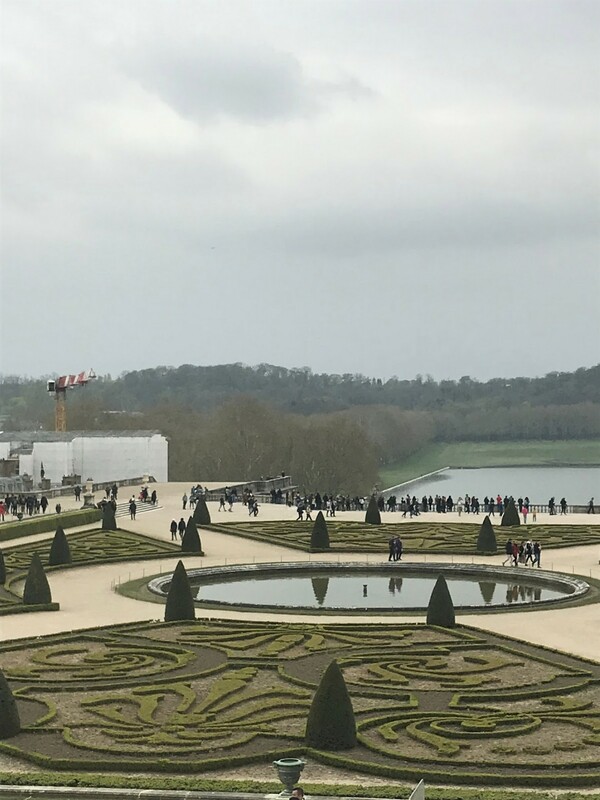 We then travelled on the above ground train to Chateau Versailles, where we met our late risers, all embarking on the short walk to the grand palace. 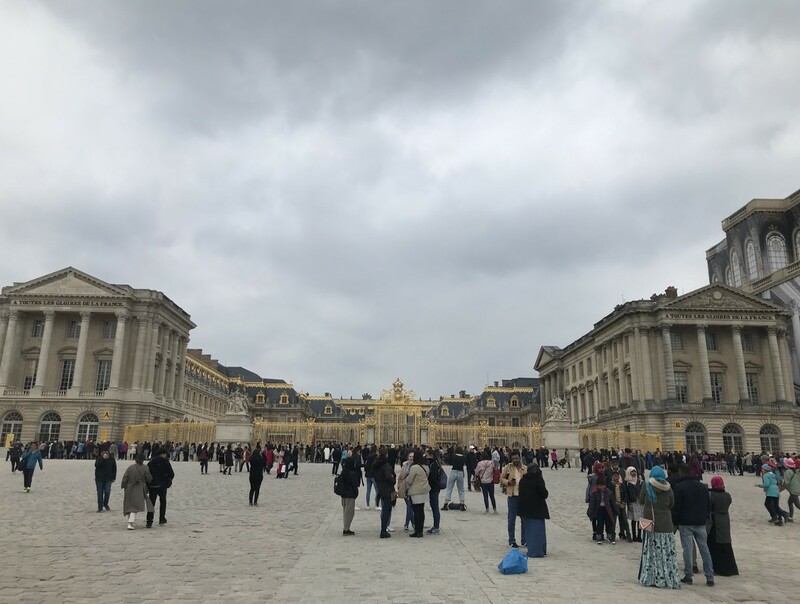 It was visible from several hundred metres away, its golden gates and window frames shining brightly even in the cloudy weather. We arrived and were greeted with another line, an occurrence not unfamiliar to us at this point in the trip. After waiting amongst hundreds of other eager schoolchildren, we were invited inside the immediately impressive palace. With our audio guides in hand, we explored the intricately designed chambers, apartments and ballrooms with wide eyes. Each room was covered in vibrant paintings and embroidered furniture, such that our necks hurt from craning them to glimpse every last detail.Many of us dined in the similarly decorated restaurant, Angelina, which offered a view of the expansive gardens of the palace. When we had explored all of the rooms we could, we once again caught the regional train back towards the FIAP. After a quick recuperation in the hotel, we had a three course dinner in a nearby restaurant. Another day passed leaving us exhausted but very much satisfied at our experience viewing the wonders of France, and our visit to Paris as we are heading to Avignon in the next day. Au revoir Paris, je t’aime! Wow, what a busy day ahead we have… This morning we had to have all our bags packed and ready to leave our first hotel by 9.20am. We said Au Revoir to FIAP hotel in Paris and met the coach outside, we then caught the bus to the train station Gare de Lyon. We bought our lunch from the station, and prepared ourselves for the journey ahead to Avignon. The TGV left the station at 11:37 am and travelled to a speed of 526 km/h. 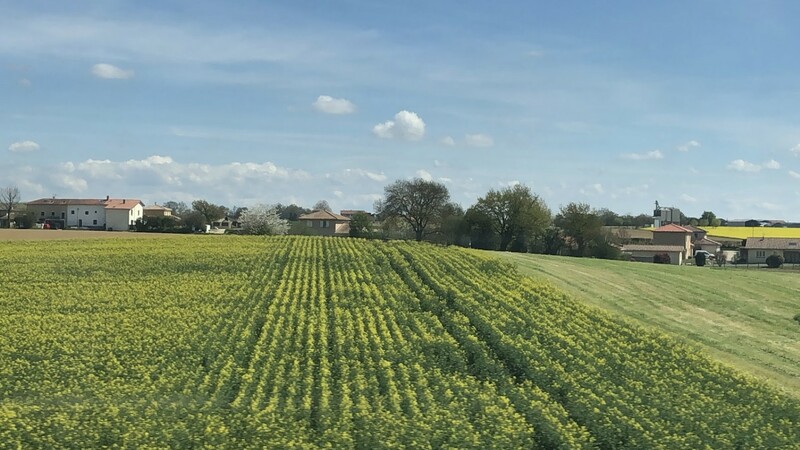 Along the way we were able to admire the beautiful scenery and the green pastures of the countryside of France. At approximately 2.30pm, we arrived just outside the main gate of the medieval town of Avignon and travelled to our accommodation. The weather in Avignon was much warmer than Paris full of sunshine and a soft breeze. We quickly went to change into our summer outfit, ready to head out and explore the inside of the walls. 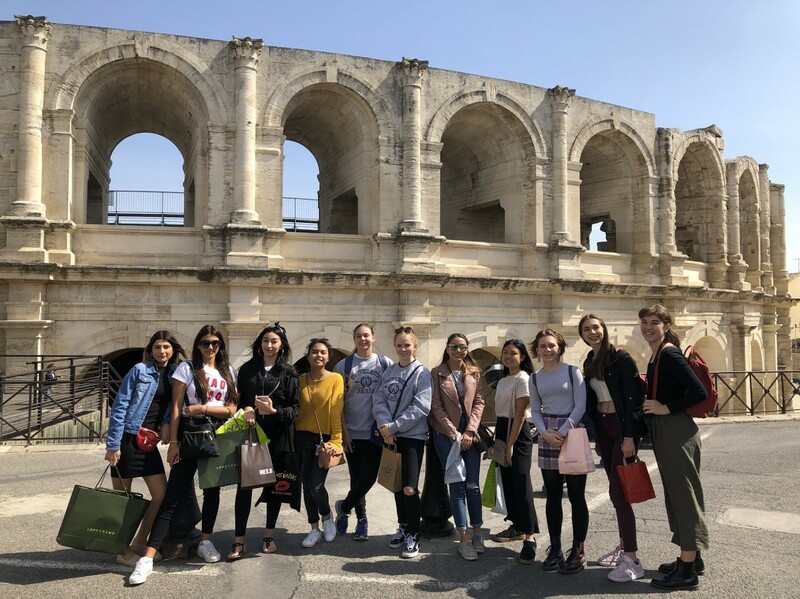 As a group, we walked from our hotel to the Palais des Papes, on the way we had our eyes opened to some good shopping opportunities!! At the Palais des Pape we met our tour guide Charlotte, she led us through a walking tour of the ancient monument, where she focused on the 13-14 century history of the castle – mainly based around the Pope, and then the military base which occupied the space after the Catholics moved back to Rome. 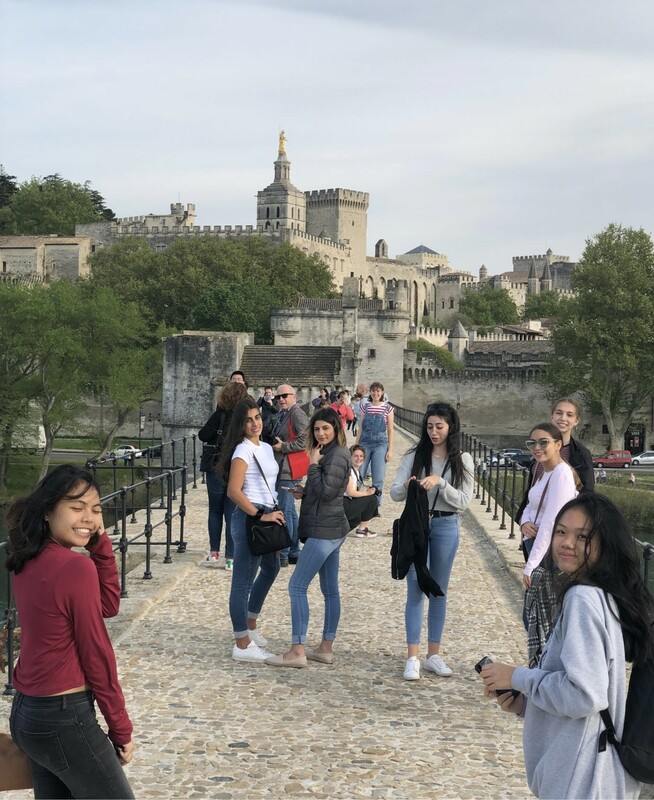 This tour began at 3:30pm and concluded at 5:30pm and then we walked along the bridge Pont Saint Bénézet ( Pont d’Avignon), originally used to connect the outside world to the medieval village facilitating the travel to the castle. After the bridge visit, we made our way just on time for a very quick 15 minute shopping inside the village and soon after we went to have our very first traditional ‘ dîner provencal’ By this stage we were all exhausted and ready to taste traditional meals. We ended the day with a quick stop at the supermarket to buy snacks for the next couple of days and then we walked back to our hotel ready to explore in the next few days, the beauty of Provence and what it has to offer. Nous avons hâte! A demain! La belle Provence! Today we had an early breakfast before we got on the bus on a journey to Arles, a quintessential charming little French town. Arles is known for little passageways and narrow streets. Part of this historical town is UNESCO world heritage site. We also had the privilege to visit Vang Gogh café that is depicted in one of his famous paintings. We also had time to mingle with the locals and on the way we discovered many boutique shops with original goods, before heading to the Amphitheatre that was once used for annual bull fights. 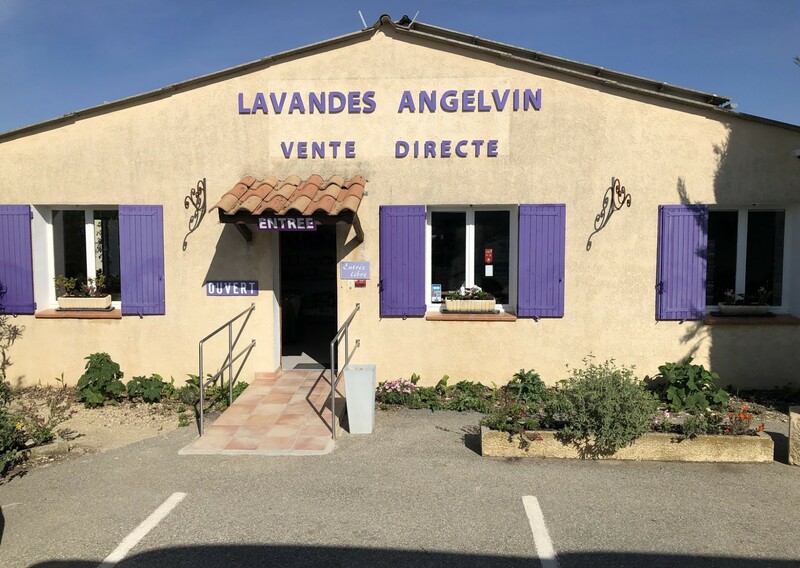 We then got back on the bus and drove to les Baux-de-Provence where we spent some time looking at local produce and souvenirs as well as eating local food. The most common purchase was definitely lavender scented goods. We all enjoyed the variety of food offered in a beautiful relaxed environment that is classified as one of the most beautiful villages in France. 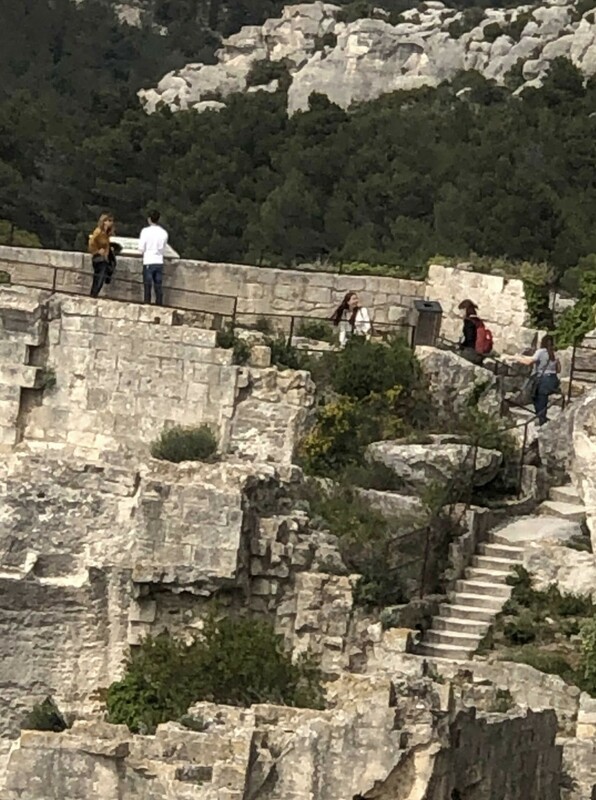 Our next stop was le château des Baux-de-Provence, where we explored the remains of the medieval castle and enjoyed the beautiful view of the town and valley below. 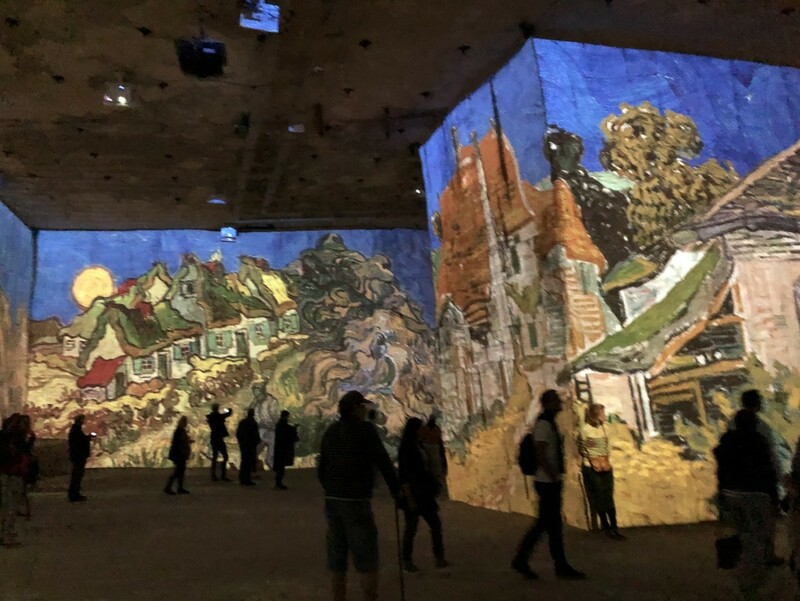 After, we went to Carrières de Lumières (quarries of light), which was a light and sound display of Van Gogh and other artists works projected onto the walls of a rock quarry. C’était incroyable et unique! Overall, today was an amazing day where we got to engage in the true southern French lifestyle and indulge in the many unique experiences of the area. 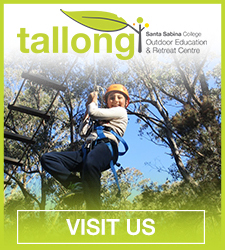 Today we were up bright and early for breakfast and a big day out to the neighbouring town of Orange! We were up at 7:30 to enjoy a nice breakfast and departed Avignon at 9:00 for Orange! After a short drive we arrived in the beautiful town of Orange! To begin with, we explored an enormous theatre famous in the region and Orange, dating back to the Roman era. In the theatre, we were given audio guides and were able to explore the large amphitheatre for an hour or so. It was so interesting to learn about theatres in the Roman era and the differences to our theatre today! After we had explored the amphitheater, we walked to a lovely outdoor cafe to enjoy a nice lunch in the beautiful provincial sun! Here we spent around an hour together talking and eating and discussing our impressions of the amphitheater. The traditional French meals were delicious and incredibly filling – especially the baked Camembert !! Ah mon dieu c’était délicieux!! After lunch, we left orange for the small village called Châteauneuf du pape, where the Pope from Avignon used to go to for a holiday. 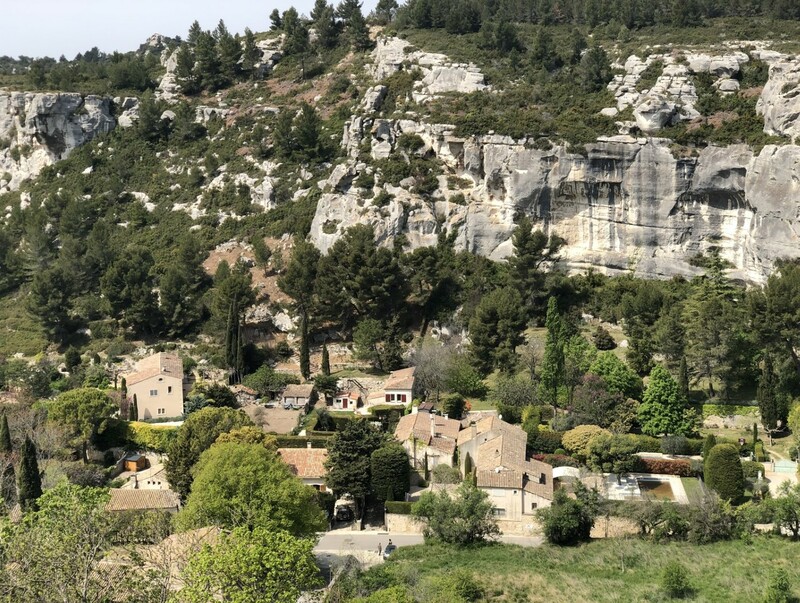 We explored the old ruins of the castle and walked around the quiet streets of the town, admiring the amazing views of the French countryside and all of Provence! After this, we began our final trip for the day: the chocolate factory! It was so incredibly interesting to find out how chocolate was made and the process involved as well as how unique each process is for each chocolate! 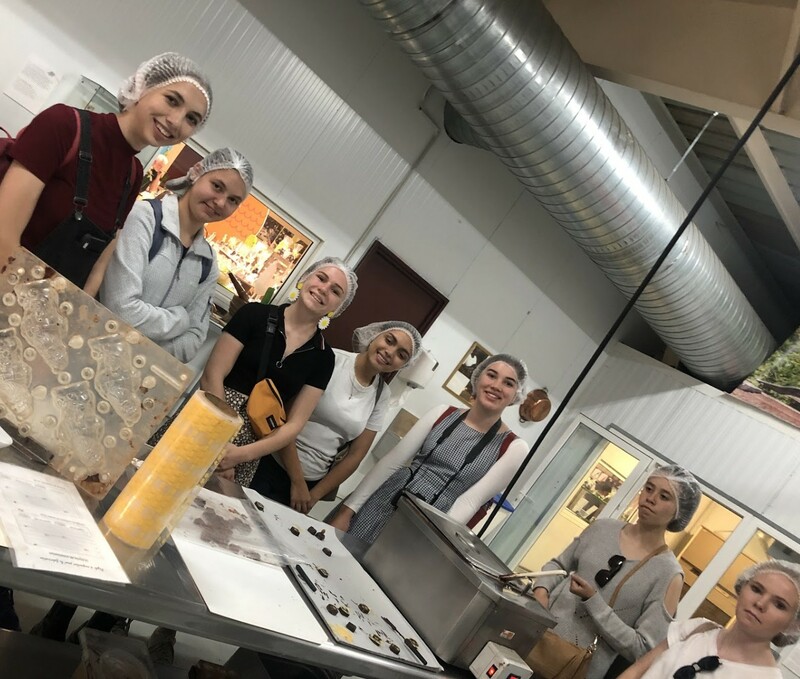 In the factory we were able to have a go at decorating chocolate and were given an inside view into how some of the best chocolate of France is made! Needless to say, many chocolate purchases followed!!! From the chocolate factory, it was time to come back to Avignon before walking to old Avignon to enjoy a lovely dinner out and a nice outdoor desert at the restaurant “ Le Vintage” ! It’s nice to be able to take full advantage of the warmer weather today!! A demain! Today we began our day earlier than usual, with the bus leaving at 8am. We then set off to start our day with a two-and-a-half hour bus ride to Moustiers. 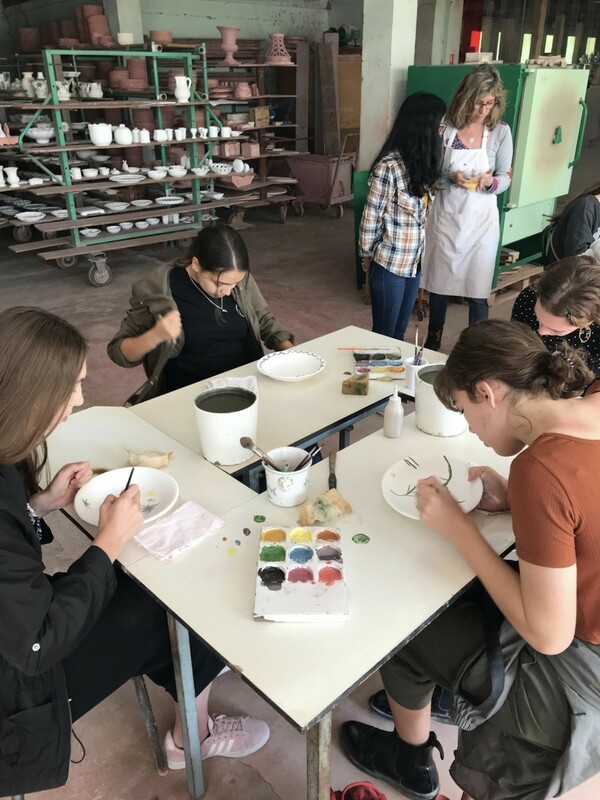 We then arrived at Atelier Lallier talances d’art and had a tour of their factory to learn the process of creating ceramics. After the tour, we were given the opportunity to design our own, of course with the help of the staff. These plates will be glazed and shipped to us in Australia. 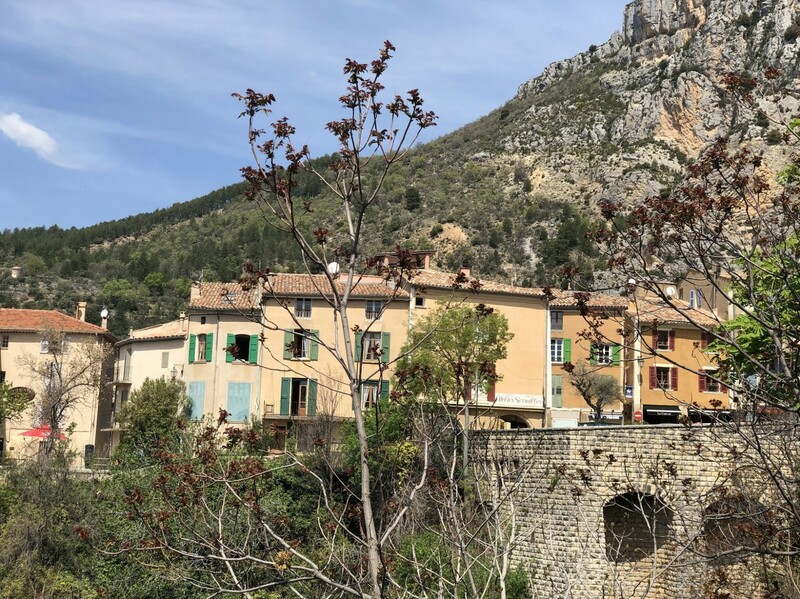 We then headed to explore Moustiers a typically Provincial village listed as one of the most beautiful villages on France perched 100 meters up the high cliff. We were stunned by the backdrop of mountains surrounding the small town. We indulged in some pâtisseries and lavender ice-cream. 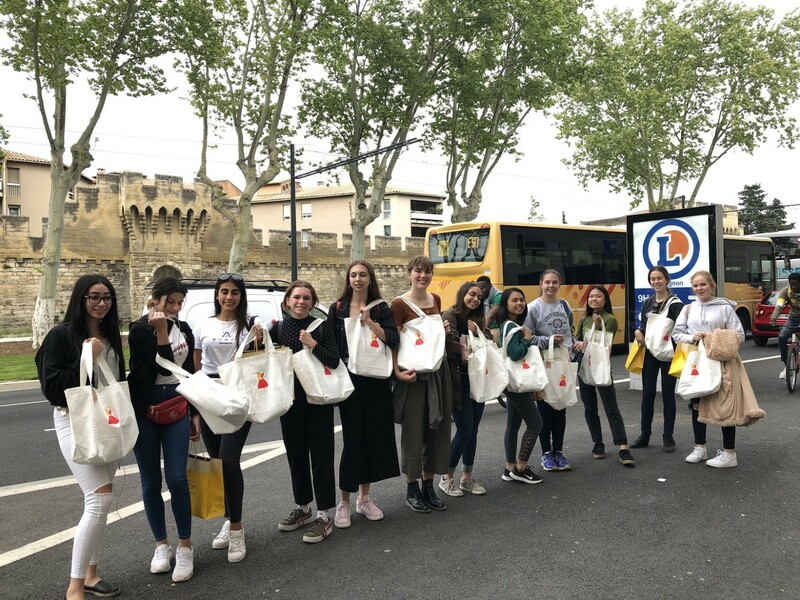 It was then time to head to another beautiful destination called Manosque in the heart of Haute de Provence where the L’Occitane factory was originally established. The tour was than followed by a visit to the gift shop, where we all received a generous discount and a small gift. Finally, we went back on the bus back to the hotel to drop off our purchases before going for a delicious dinner at ‘le Vintage’. We all thoroughly enjoyed today, and cannot wait to celebrate Easter together tomorrow. Bonjour tout le monde (Hello everyone)! We started our day by visiting another beautiful part of Provence. We went to Nîmes an Roman influenced city. 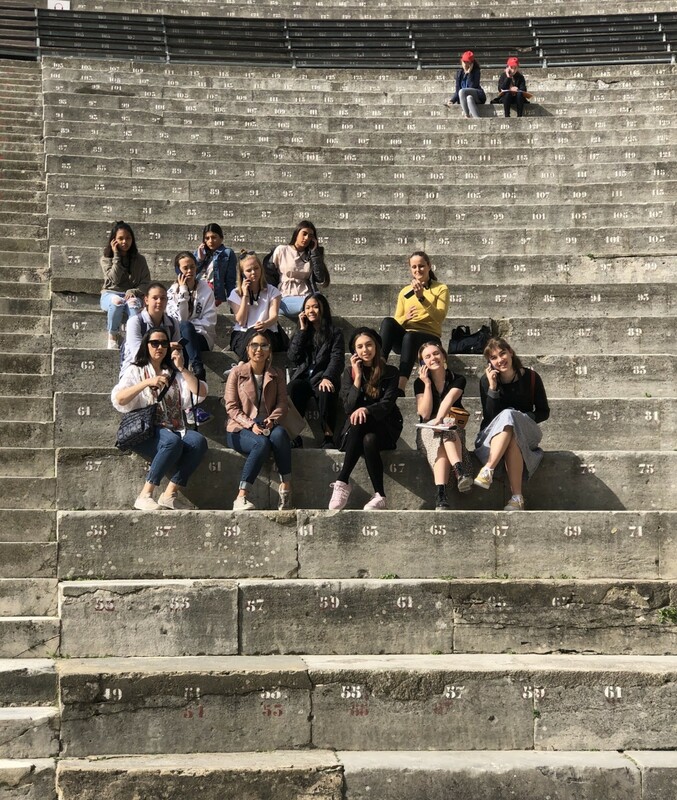 Upon arrival we went to La Maison Carée, where we watched a short film about the history of the city of Nîmes in the best preserved Roman Theatre in the world. After, we celebrated Easter by attending mass and having communion at St. Paul’s Cathedral a beautiful Church in the city centre of Nîmes. After mass, we made our way to l’Amphithéatre for an audio self guided tour. We learnt a lot about this special Roman Amphitheatre and were able to imagine and live that era through the narration recorded in the Audio guides. C’était très bien! (It was very good)! After a long walk around the Amphitheatre, we had lunch in town then went to Pont du Gard, and walked along the gigantèsque aqueduct bridge. It had a spectacular view of the river and mountains, très beau (very pretty)! We also walked around the market stalls nearby Guarrigue en fête and tried some local delicacies such as escargot. It was delicious! We boarded the bus and concluded our day with a nice dinner in Avignon. 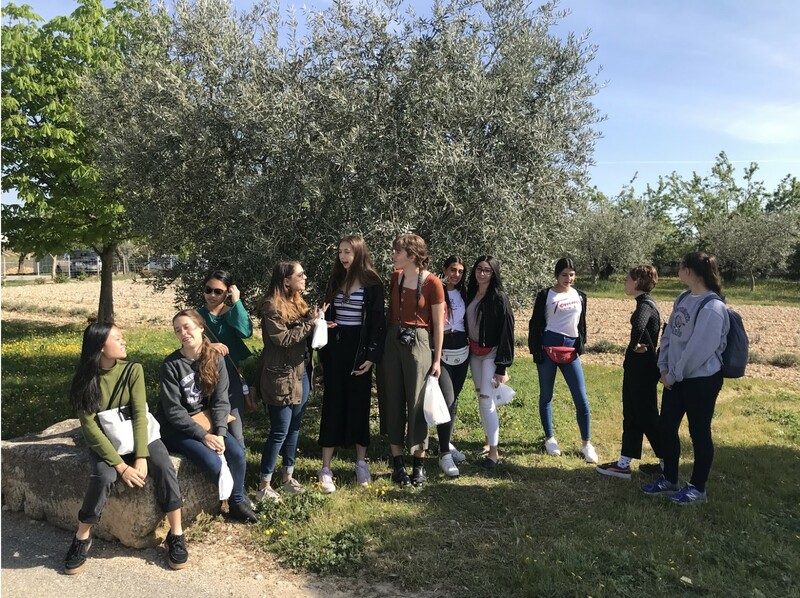 Our last day exploring Provence was certainly eventful and we began the day by travelling to the beautiful town of L’Isle Sur la Sorgue, which is often referred to as the little Venice because of its lush canals. We were treated with beautiful weather and a bustling vintage market. There were hundreds of people milling about the market, under the welcome sun that the day brought us. We went for lunch at restaurants beside the water and then got back on the coach on our trip to the hillside village of Gordes. The village sits on the hillside and we walked with our guide through narrow cobbled streets to see the beautiful views of the perfectly farmed valley below. 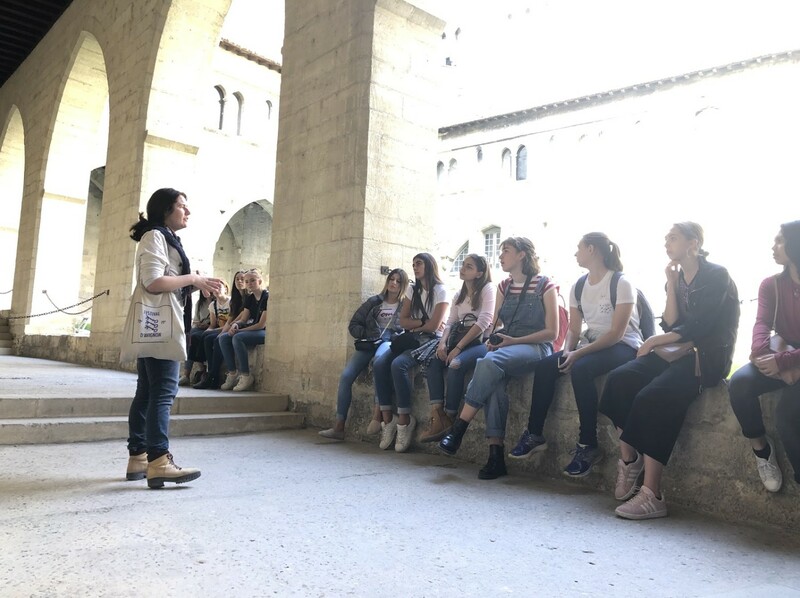 The guide then took us to the nearby Abbey ‘L’abbaye Sénanque’ that dated back to the 13th century, and we explored the life of the monks that still reside there today. After a long day of sightseeing, we celebrated the closing of our trip with a dinner at an Avignon restaurant ‘La Brasserie du Théâtre’. We go to sleep tonight with a fresh knowledge of the language and culture we have been immersed in on this trip, as well as the anticipation of the long flight approaching.